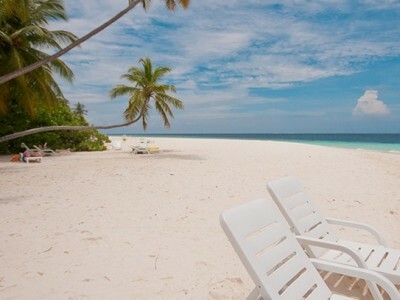 Fihalhohi is one of the best kept secrets in the Maldives. In our opinion, the best budget family resort in the country. Perhaps the best budget resort – that’s it – no more. Fihalhohi offers, a mix of natural beauty and holiday action. There are a couple of reasons for the obscurity. One is that Fihalhohi is almost alone in the whole west and south-west of the Atoll (“Rannalhi” is its only neighbor). Though the island is family-oriented, today different nationalities holidays at Fihalhohi. The island is ideal for children. The fact is that there are lots of other children, plus wide open beaches, a shallow lagoon and crucially, plenty of shade. This island is also large and “open” (none of the guests is restricted from going anywhere), so there is plenty to explore. 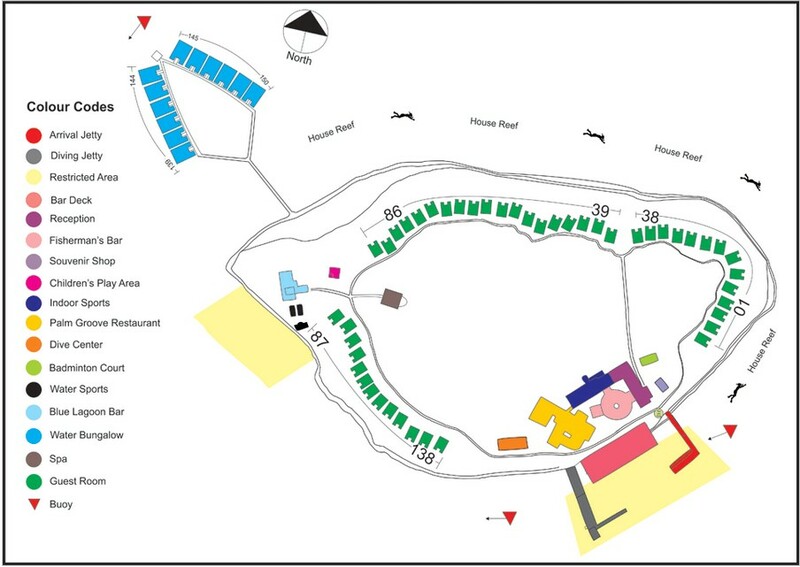 And then there are the water sports, the play areas and the games corridor, which is between the restaurant and reception. Finally, a sympathetic and helpful management. serves a buffet brakfast and a light buffet lunch, dinner consists of a vietity of tantalizing theme buffets spread throughout the week. is the hub of activity. The vew can mix some interesting cocktails and this bar also hosts all the evening light animation programs. next to the water sports center serves a speciality menu of salads, sandwiches, hamburgers, pizzas and an array of light meals throughout the day. is proud of its serene setting on the beach, the bar serves an extensive range of thirst quenchers and cocktails. There is no music at the blue lagoon, just the sea, the sand and the close to nature feeling. A highly stimulating and refreshing head, neck, shoulder, arm and upper back massage, which nourishes the scalp, relieves headaches and stimulates the circulation of blood which in turn, nourishes the growth of your hair. A ‘spine-tingling’ and relaxing back massage which releases the tension in your shoulders, neck and lower back. The pressure and areas of focus can be tailored according to your individual needs. A traditional Indonesian massage using firm, rolling strokes between the thumb and forefinger to really ignite your nerve endings. This is one of the most relaxing massages that will keep you relaxed and rejuvenated for quite some time. This massage combines massage and essential oils to treat your physical and psychological wellbeing. The essential oils are absorbed into your blood stream and continue to have a therapeutic effect for hours after the treatment. Discover the soothing effects of this ancient Japanese art of healing. This particular massage involves finger pressure in combination with stretches, opens the meridians to create a sense of balance and peace. This is a flowing massage with customized pressure applied according to the individual. There are no stretching or manipulative movements, simply the kneading of your muscles to release tension, knots and stress. A combination of hand spa manicure which includes nail cuticle care, exfoliation, massage and paraffin mask and colouring. A relaxing foot and lower leg exfoliation with soothing massage with nail cuticle care and colour. A soothing, nourishing treatment for dry, tired feet which includes nail and cuticle care, exfoliation, massage, seaweed mask and coloring. Rich in sea minerals, oligo elements and iodine, this treatment deep cleanses impurities and toxins through the skin, the body’s largest elimination organ. This is an excellent treatment to cleanse the body. Seaweed is also an excellent healing agent for skin disorders. Used for centuries to cleanse the body, this treatment is ideal for arthritis and other skeletal problems, and for other skin disorders such as eczema and psoriasis. Given below are some of our special packages. Experience more pleasure with the combination of an Aroma massage and a relaxing Aroma facial with special essential oil blends tailor made to suit your skin & body needs. This treatment will help create inner balance and overall health and wellbeing. Experience a luxurious combination of indulgence with a choice of massages Balinese or Swedish, with a combination of a scrub or a wrap. Experience this unforgettable celebration of a combination of treatments, with choices to suit your individual taste. The package includes foot spa or Indian head massage, choice of full body massage, choice of scrub or a wrap with a hydra bath, facial and finally a choice of full body massage with hair spa before your departure. After a long and tiring flight, get your feet soaked in a warm bath with pure essential oils to reduce swelling and ease muscle tension. This is followed by a revitalizing back massage to release tension in your shoulder, neck and lower back. Experience a full body coconut scrub to re-hydrate your skin after being exposed to the sun. This fantastic treatment combines a botanical hair spa using natural ingredients followed by a full body massage to release stress & tension. You will experience absolute nirvana and total ecstasy during this treatment. Most of our guests equally like the overwater and underwater landscape. There are number of water sporting activities that you can explore and enjoy while you are staying with us. 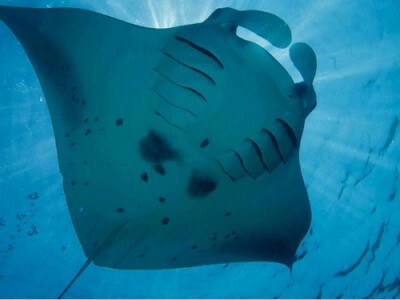 It includes snorkeling and will give you the unique experience of virtually exploring Maldive house reef. You will be guided along our most beautiful house reef, starting at uniquely easy access points just about 10km off our island. We arrange a lot of excursions, and it is not only for non-diving guests. Some of the excursions include ‘Dolphin Reef Tour’, where you can find more Dolphins than you have ever expected, or the trip to the smallest capital in the world, Male’. We also arrange scenic flights, where you can enjoy an amazing fifteen minutes round flight. You can take a real floatplane to discover the beauty of the southern part of south Male’ atoll, and our very own island Fihalhohi, and do not miss the chance to take pictures and videos. Other than landing and take off in Hulhule International Airport, the cruising altitude is very low giving you fantastic views of the scenery. No words can describe the unique experience. The plane will pick you up at the beach and bring you back. For those of you who want some evening entertainment every now and then, we offer some light activity. Centre of these is the Fishermen’s bar. In the evening many also choose to relax and just tend to sit at the Blue Lagoon Bar or in front of their rooms to relax and enjoy the silence. Others prefer sitting on the beach and observing the moon, or many crabs running up and down the shore. We also arrange Karaoke evenings, underwater slide or film shows by our ‘Ocean Venture Diving’ crew, live music by our staff, crab race and eventually bingo. For those who wish to engage in some level of sporting activity during your stay with us, we have a number of gaming facilities. You may choose to spend your time by playing any of our indoor games, or brushing up your sporting skills by trying many of the indoor games available in the resort. Отель Fihalhohi покорил своей природной красотой, дружелюбностью и профессионализмом персонала. Прекрасный риф начинается буквально в 3-5 метрах от берега, это идельное место для снорклинга в первую очередь, и один из лучших вариантов для недорогого дайвинга. Именно немецкие дайверы составляют большую часть гостей курорта. Номера очень простые, хотя полностью оборудованы – минибар, кондиционер есть во всех категориях, не новые, но цена размещения, отличное питание, бесплатный вайфай и потрясающая природа полность компенсируют этот недостаток. В отеле 4 категории номеров: CLASSIC, COMFORT и PREMIUM расположены на берегу в тени пальм, а WATER VILLA отдельно от основной части острова. Глубина океана возле водных вилл 2,5 метра, а вода на столько прозрачная что кажется там не более 0,5 метра. Кроме богатого рифа с его морскими жителями, на острове много крабов и разнообразных птиц. Отель предлагает погулку на лодке на закате с дельфинами, плаванье с мантами, рыбалку на лодке от 40 долларов и ночную рыбалку с приготовлением пойманной рыбы прямо на лодке от 140 долларов. Помимо активных развлечений, гостям предлагают расслабиться с тайском спа-центре, достаточно большом для такого острова. По вечерам традиционная культурная программа с живой музыкой и танцами. Время на острове и самом отеле Fihalhohi отличается от времени в столице Мале на +1 час, хотя расположен он в 45 минутах езды на моторной лодке. Курорт делает это специально, что бы гости могли насладится рассветом в 6-30 утра и в 07-30 отправится на завтрак. Так что если Вы ищите красивый остров, отличный риф недалеко от берега и радушный сервис за небольшие деньги – отель Fihalhohi лучший вариант! Hotel Fihalhohi has conquered with its natural beauty, friendliness and professionalism of the staff. The beautiful reef begins literally in 3-5 meters from coast line, it is ideal place for snorkeling and one of the best locations for inexpensive diving. It is the German divers who make the majority of the guests of the resort. The rooms are very simple, although fully equipped with a minibar, air conditioning is available in all categories, not new, but the price of accommodation, excellent food, free Wi-Fi and stunning nature fully compensate for this weakness. The hotel has 4 room categories: CLASSIC, COMFORT and PREMIUM are located on the beach in the shade of palm trees, and WATER VILLA is separate from the main part of the island. The depth of the ocean near the water villas is 2.5 meters, and the water is so pure that it seems there is not more than 0.5 meters. In addition to a rich reef with its marine inhabitants, there are many crabs and a variety of birds on the island. The hotel offers a boat ride at sunset with dolphins, swimming with manta rays, fishing on a boat from $40 and night fishing with the preparation of caught fish right on the boat from $140. In addition to active entertainment, guests are invited to relax with a Thai spa, large enough for such an island. In the evenings, a traditional cultural program with live music and dancing provided. 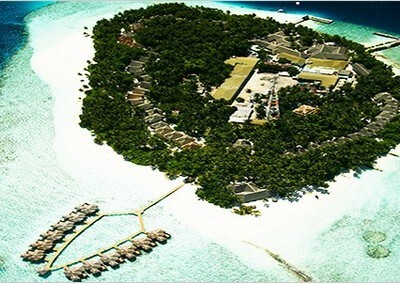 Time on the island and at the hotel Fihalhohi is different from the time in the capital Male for plus 1 hour, although it is located 45 minutes away by speed boat. The resort does it specially, so that guests could enjoy the sunrise at 6-30 AM in the morning and at 07-30 AM go to breakfast. So if you are looking for a beautiful island, an excellent reef near the coast and a friendly service for a little money – the Fihalhohi hotel is the best option! Fihalhohi – отель с доброжелательной уютной атмосферой, внимательным, правильно обученным персоналом является хорошим выбором для бюджетного путешествия на Мальдивы. Расположен на острове Фихалохи в атолле Южный Мале, в 28 км от международного аэропорта Велана, трансфер занимает 45 минут на скоростном катере (организуется до 16:00). Classic – береговые, отдельно стоящие бунгало, либо сгруппированные в блоки по 2 номера. Comfort – береговые двухэтажные бунгало, сгруппированные в блоки по 2 или 4 номера с балконом. Premium – аналогичны номерам категории Comfort, дополнительно – набор для приготовления чая/кофе, банные принадлежности, халаты и тапочки, спутниковое ТВ. Water Bungalow – водные бунгало на сваях. Недостатком в каждом номере являетеся, отсутствие характерного для Мальдив тропического душа. Отличным вариантом проведения досуга на территории отеля станут различные водные виды спорта, экскурсии, также, рыбная ловля на рассвете, либо на закате солнца. Рыба пойманная на рассвете готовится сразу в лодке, на закате – на острове, в специально отведенном для барбекю месте. Кроме того, для гостей работает школа дайвинга, сертифицированная профессиональной ассоциацией инструкторов по дайвингу (PADI). В ресторане отеля Palm Groove гостям подают аппетитные блюда мальдивской и интернациональной кухни. В барах Fisherman’s и Blue Lagoon предлагают широкий выбор алкогольных и освежительных напитков. Гостям, только, прибывшим на остров и опоздавшим на обед предлагают легкий ланч из бутербродов, салатов и различных напитков. Основными недостатками отеля являются немного уставшие номера и отсутствие на территории острова бассейна и десткой площадки. Однако, богатый домашний риф в нескольких метрах от берега, густая растительность и чистый ухоженный берег с белым песком и кристально чистой водой, разнообразие живностей, в том числе и цапли, гордо расхаживающие по острову – легко перекрывают все возможные недостатки. Также, одним из преимуществ отеля, также, является бесплатный WI – FI по всей территории острова, что не характерно для многих отелей на Мальдивах. Fihalhohi is the hotel with a friendly, warm welcoming atmosphere, attentive, properly trained staff which is a good choice for a budget trip to the Maldives. 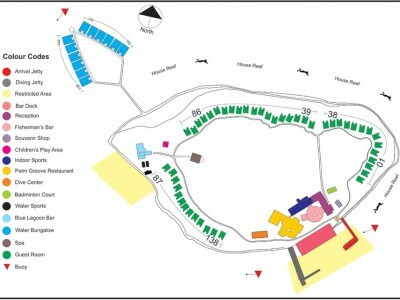 It is located on the Fihalhohi island in the South Male atoll, 28 km from the international airport Velana. The transfer takes 45 minutes by speedboat (arranged until 16:00). Classic – onshore, detached bungalows, or grouped into blocks of 2 rooms. Comfort – coastal two-story bungalows, grouped into blocks of 2 or 4 rooms with balcony. Premium – similar to the Comfort category, in addition – a set for making tea / coffee, bath accessories, bathrobes and slippers, satellite TV. Water Bungalow – water bungalows on stilts. The main disadvantage in each room is the lack of a tropical shower which is typical for Maldives. Various water sports, excursions, as well as fishing at dawn or at sunset will be an excellent option for leisure activities on site. The fish caught at dawn is prepared immediately in a boat, at sunset – on an island, in a specially designated place for a barbecue. In addition, there is a diving school for the guests, certified by the professional association of diving instructors (PADI). The Palm Groove’s restaurant serves delicious Maldivian and international cuisine. Fisherman’s and Blue Lagoon bars offer a wide selection of alcoholic and refreshing drinks. Guests, who just arrived to the island and late for lunch are offered a light lunch of sandwiches, salads and various drinks. The main disadvantages of the hotel are a bit old rooms and the absence of a pool and a children’s playground on the island. However, a rich house reef which is a few meters from the shore, dense vegetation and a well-groomed beach with white sand and crystal clear water, a variety of living creatures, including herons, proudly walking along the island – easily cover all possible shortcomings. Also, one of the advantages of the hotel, too is free WI-FI throughout the island, which is not typical for many hotels in the Maldives.